Remove diseased plant material. Either bury it away from the garden, burn it, or dispose of it. Do not leave diseased plant material in the garden if possible, because plant disease pathogens living on those plants can cause future disease problems next year. Vegetables remove a lot of nutrients from the soil, because it requires a lot to produce big healthy fruits like peppers and pumpkins. Over time, garden soil may become depleted in some nutrients that plants need. 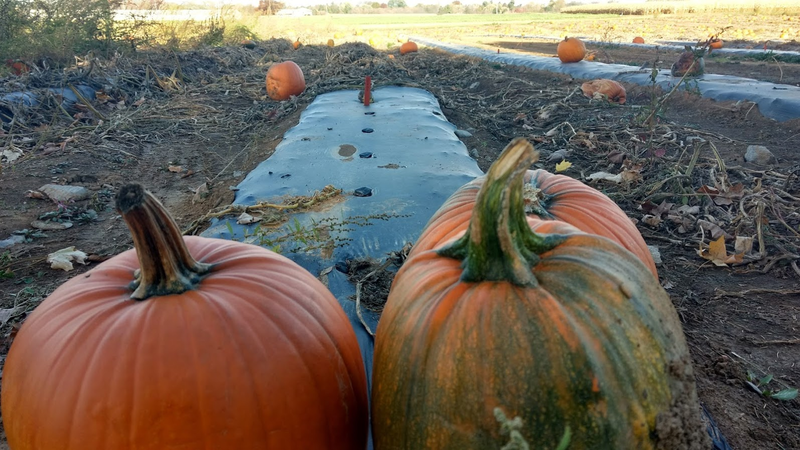 Soil tests reveal whether there are problems in the soil, like deficient nutrient levels, low organic matter, or high pH, that could limit your vegetable growth next year. The test results will indicate these problems and give clear instructions on what to do to fix them. 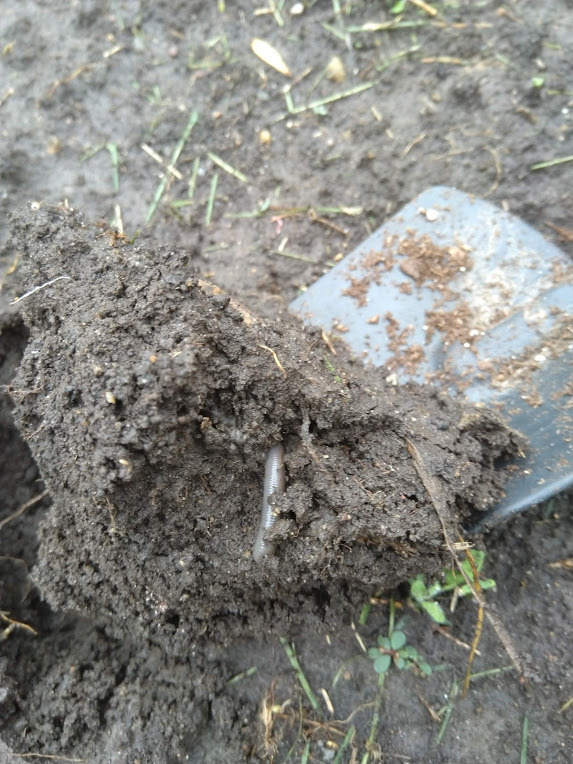 Fall is a great time to do a soil test. Doing it now allows plenty of time to apply any necessary amendments (like compost, manure, or granular fertilizer) to the garden either this fall or next spring, so that your garden is prepared for success next year. Gardeners have many choices when it comes to amendments for vegetable gardens, including compost, manure, and granular fertilizer. Granular fertilizers, available in many organic or synthetic forms, are a relatively precise way to fill needs revealed by the soil test. They have set concentrations of nutrients, and these concentrations are indicated on the label of the product. Your soil test report will state what concentration is recommended for your garden based on the results. If you apply manure to your vegetable garden, it is a good idea to do that in the fall. For more information on proper and safe use of manure, read this article in the Fruit and Vegetable News. For more information on fall soil amendments, listen to the webinar. The two major weed management goals in the fall are to remove any leftover mature weeds and to control winter annual weeds that started coming up in September. Weeds that slipped between the cracks and grew to maturity through the season now have seeds on them. Many of our common weed species can produce anywhere between 1,000-600,000 seeds per plant. Letting those seeds drop to the garden soil will lead to future weed infestations. Remove those mature weeds as soon as possible and dispose of them or bury them far away. Winter annual weeds are those that emerge in the fall (August-October), survive the winter, and continue growing in the spring. Controlling them in the fall will lead to less weedy soil in the spring. Manage winter annuals with straw, hand-pulling, and gentle raking of the soil surface. Tilling your vegetable garden in the fall may not actually be necessary. 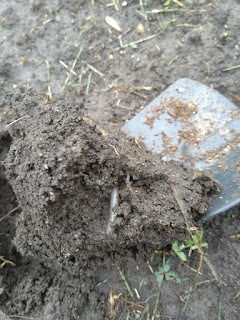 Many gardeners may till or hoe in the fall with the best intentions, but it could be causing unneeded disturbance to the soil structure and valuable soil organisms, and making the soil more conducive to erosion. Tilling (or hoeing) is used to incorporate soil amendments and leftover plant matter, to kill weeds, and to break up large soil clumps. If you are not incorporating any soil amendments, you may consider skipping tillage this fall. Weeds can be managed by hand-pulling, covering the soil with straw to suppress new weeds, or raking the surface to remove small weed seedlings. Plant Food for Thought: Why do we put down straw? 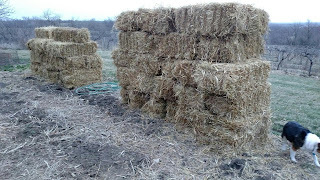 Many gardeners spread straw on their gardens once everything is cleaned up and ready for winter. Why? One big benefit is that straw suppresses weeds. It can reduce the growth of winter annual (fall-emerging) weeds and early spring weeds, which is helpful for planting into less weedy soil once the time comes. A second benefit of straw is that during warmer fall or spring periods where rain causes soil to run off, straw might help protect the soil from erosion.